Virginia Flags to fly at half-staff Wednesday, July 2nd at the Capitol in honor of Henrico County Deputy Sheriff Gabriel Pearce. 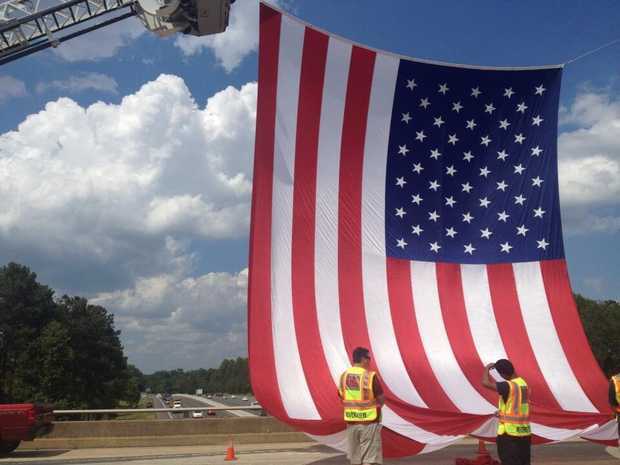 Flags are also to be flown at half-staff in the County of Henrico and in any location deemed appropriate. American Flags and Virginia Flags to fly at half-staff Tuesday, July 1st over the Capitol in honor of US Marine Staff Sergeant David Stewart. Flags are also to be flown at half-staff in the County of Stafford and in any location deemed appropriate. Staff Sgt. Stewart died as a result of injuries suffered while serving as part of Operation Enduring Freedom in Afghanistan. Stewart served on three tours as part of Operation Iraqi Freedom and this was his second tour in Operation Enduring Freedom. He was assigned to the 2nd Combat Engineer Battalion, 2nd Marine Division, II Marine Expeditionary Force, Camp Lejeune, NC. His awards include: The Purple Heart, Navy and Marine Corps Commendation Medal, Navy and Marine Corps Achievement Medal with Valor, Combat Action Ribbon, Marine Corps Good Conduct Medal, Selected Marine Corps Reserve Medal, National Defense Service Medal, Afghanistan Campaign Medal, Iraq Campaign Medal, Global War on Terrorism Expeditionary Medal, Global War on Terrorism Service Medal, Sea Service Deployment Ribbon, Marine Corps Drill Instructor Ribbon and Armed Forces Reserve Medal. 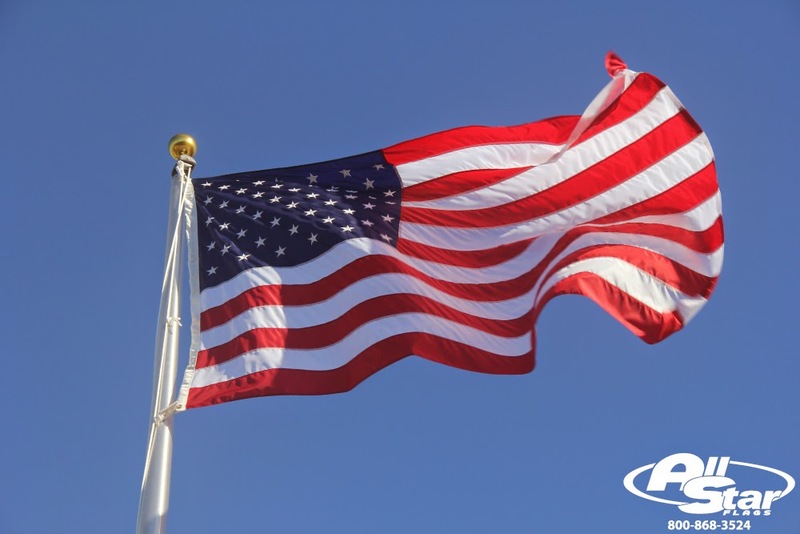 American Flags and Montana Flags to fly at half-staff Wednesday, June 25th in honor of Three Forks Fire Chief Todd Rummel and five Montanans who died in a traffic accident June 19th near East Helena. 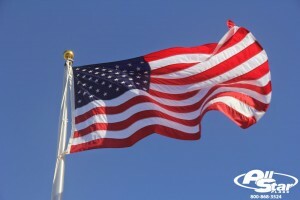 American Flags and Washington State Flags to fly at half-staff Saturday, June 21st in honor of Army Cpl. Justin Clouse. Clouse was killed in combat while on deployment in Afghanistan. He was assigned to 2nd Battalion, 12th Infantry Regiment, 4th Infantry Brigade Combat Team, 4th Infantry Division out of Fort Carson, Colorado. 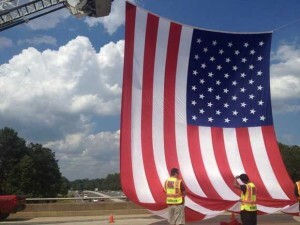 American Flags and Kentucky Flags to fly at half-staff Friday, June 20th in honor of Sgt. Paul Gordon. Sgt. Gordon died while a prisoner of war during the Korean War and his remains were recently positively identified. According to the Defense Prisoner of War/Missing Personnel Office (DPMO), Sgt. Gordon, 20, of Dry Ridge, was assigned to Company H, 2nd Battalion, 38th Infantry Regiment, 2nd Infantry Division. In 1951, Gordon was deployed in the vicinity of Wonju, South Korea. On Jan. 7, 1951, following a battle against enemy forces, Gordon was listed as missing in action. In September 1953, as part of a prisoner exchange, known as Operation Big Switch, returning U.S. service members reported that Gordon had been captured by the Chinese during that battle and taken to a prisoner of war camp, where he died in June 1951. North Carolina Flags to fly at half-staff Thursday, June 12th in honor of former NC Senator Harris Blake. Senator Black represented Harnett and Moore Counties in NC for five terms prior to his retirement. American Flags and Nevada Flags to fly at half-staff Monday, June 9th through Friday, June 13th in Nevada in honor of Officers Alyn Beck and Igor Soldo. Officers Beck and Soldo were shot and killed while eating lunch on duty at a restaurant.